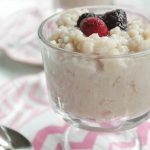 Creamy Vegan Rice Pudding – It’s So Delicious! 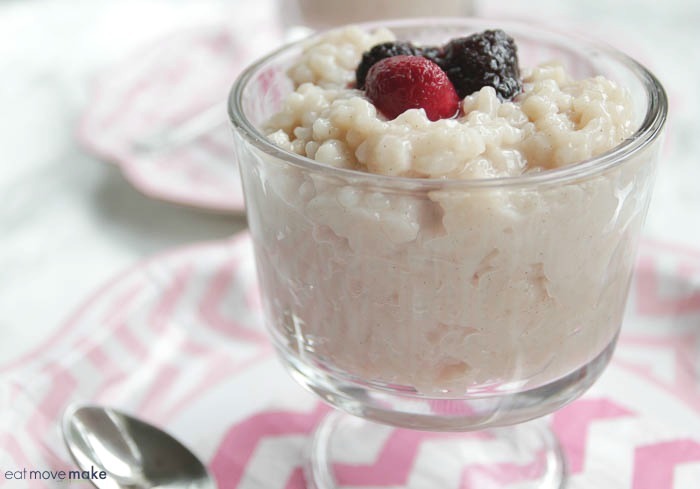 I love this vegan rice pudding because the whole family can eat it. 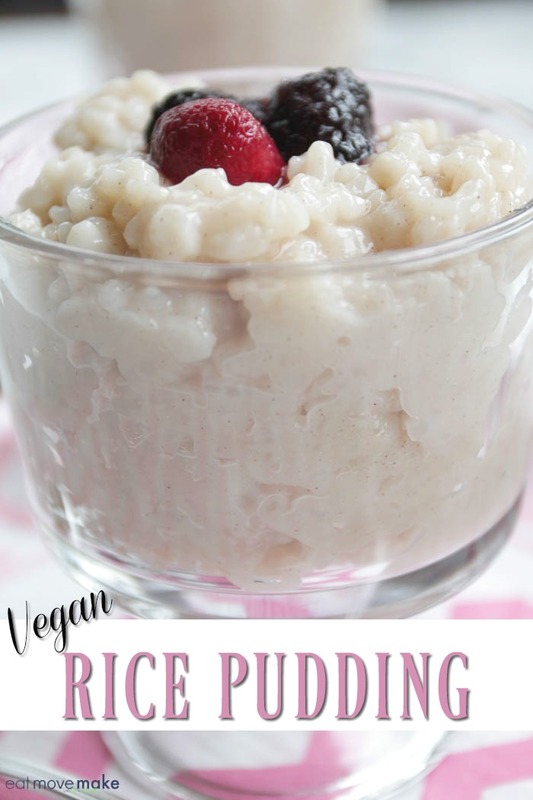 Chanelle’s diet is dairy-free, gluten-free and vegetarian/vegan, so when she comes over, I try to make special treats like this vegan rice pudding recipe because she has a big sweet tooth! If you’ve never tried rice pudding, you should! It’s similar in consistency to tapioca, so if you like that, you’ll probably like rice pudding too. It’s also pretty easy to make; if you know how to stir, you’ve pretty much got the whole technique down. 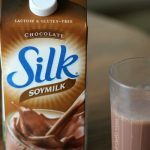 When substituting for dairy, I like to use unsweetened almond milk because it’s so versatile and it doesn’t alter the taste of the final recipe (in my opinion). 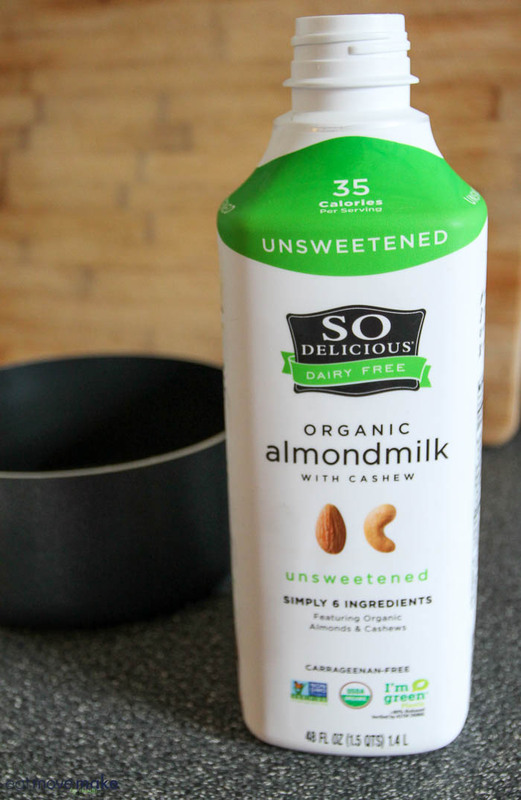 I’ve been really happy with the light and smooth taste of So Delicious Almondmilk with Cashew. 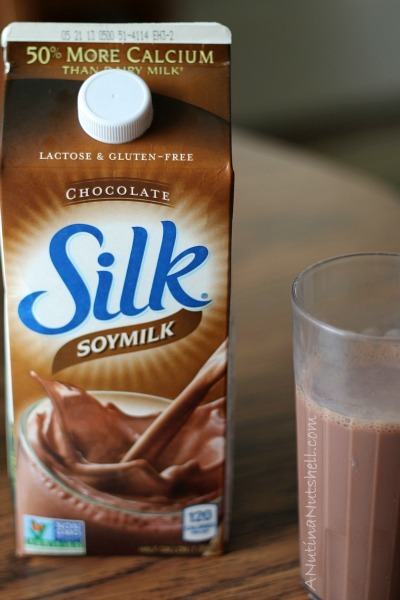 Not only is it dairy-free, it’s also organic, Non-GMO, Soy-free and gluten-free! 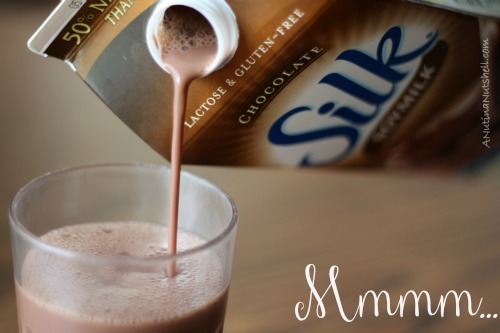 It’s made with only what’s needed – nothing else, and in the unsweetened version there are only 35 calories per serving! And don’t you just love the bottle? It’s made from at least 80% plants — renewable sugarcane — and it’s recyclable. Pretty cool, huh? 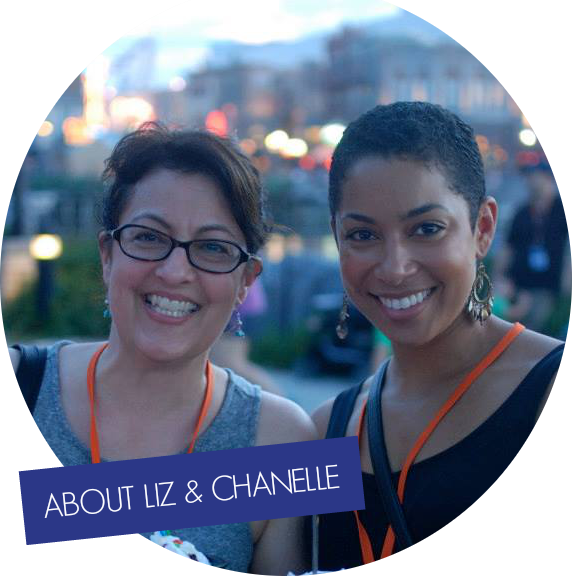 It’s just another reason to feel good about So Delicious organic almondmilk. Look for it in the refrigerated dairy section. It’s easy to spot! I also managed to score a $1 Ibotta rebate! Get yours too! 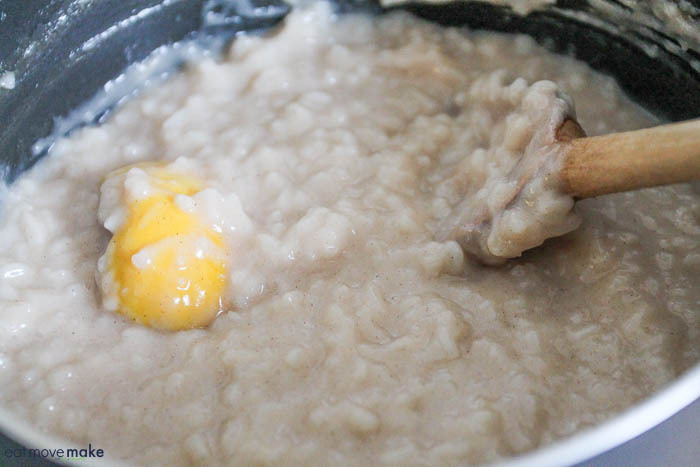 To make the vegan rice pudding, just cook and stir the ingredients on the stovetop. So simple, and So Delicious! 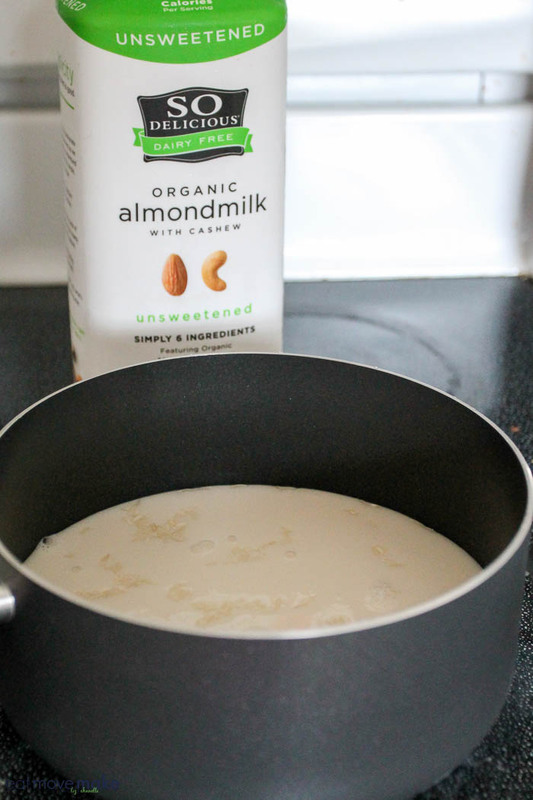 In non-stick saucepan, bring 2 1/2 cups almond milk, rice and sugar to a boil over medium-high heat, stirring often. upon boil, reduce heat to low, cover and simmer 25 minutes. Stir, remove from heat and set aside. In medium bowl, whisk together remaining 1/2 cup of almond milk, maple corn starch and cinnamon until smooth. Remove lid. Whisk in maple syrup mixture rapidly. Add lemon peel. Simmer uncovered on low for 15 minutes, stirring frequently. Store in refrigerator. A non-stick saucepan is recommended. If not using a non-stick pan, stirring will need to be more frequent. I think this vegan rice pudding is even better than regular rice pudding. 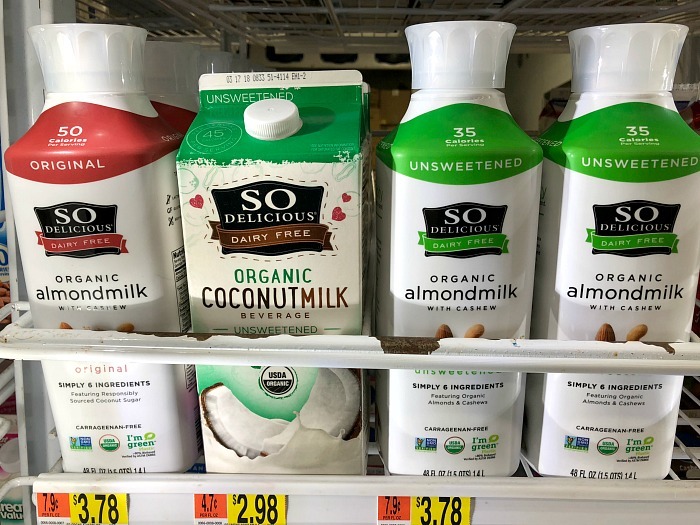 Is the secret in the So Delicious almondmilk with cashew? I think it might be! Get your $1 Ibotta rebate and pick up some So Delicious at Walmart!